Q: The first is that for some reason my item separator image will not show. I have tried everything.. and no matter what I do the image will not show. I designed a graphic that is 2 pixels high and is the width of the total menu. The first problem is that the graphic wont show at all.. and I do not know why. Secondly, I am now thinking that I would like to use the separator graphic on all levels of the menu.. but this creates a another issue.. as the width of the submenus varies based on the length of the text displayed. How then can I have a separator image work in the submenus? See the normal item border color. You didn't paste separator into your menuItems. Q: When I roll my mouse over my menu, it appears halfway down the page, not next to the menu. This only happens when I enclose the code in <div></div> layers. Is there a way to fix this? The problem is that the script can't get css properties of the object if they are described in separate .css block (or file).In other words, you can't get the value of "position" attribute of the object if the object doesn't have this property within inline style(style="position:absolute"). To get the value you should move .css style into style="" attribute. 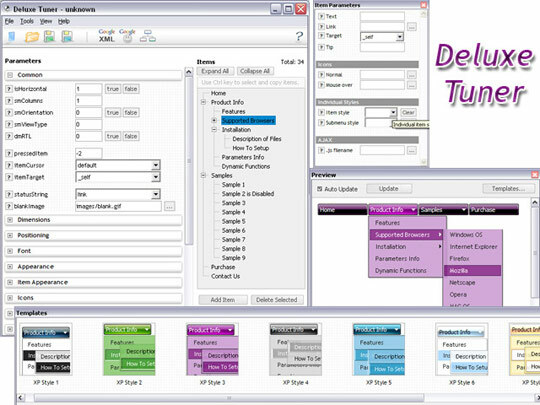 Here is an example of how to create flyout menus with ISC. ... 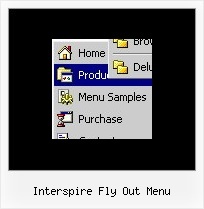 When you say flyout menu, do mean like a vertical accordian menu?